Mexico is an easy to travel country and there is a lot of natural beauty and typical old colonial towns you just have to visit. 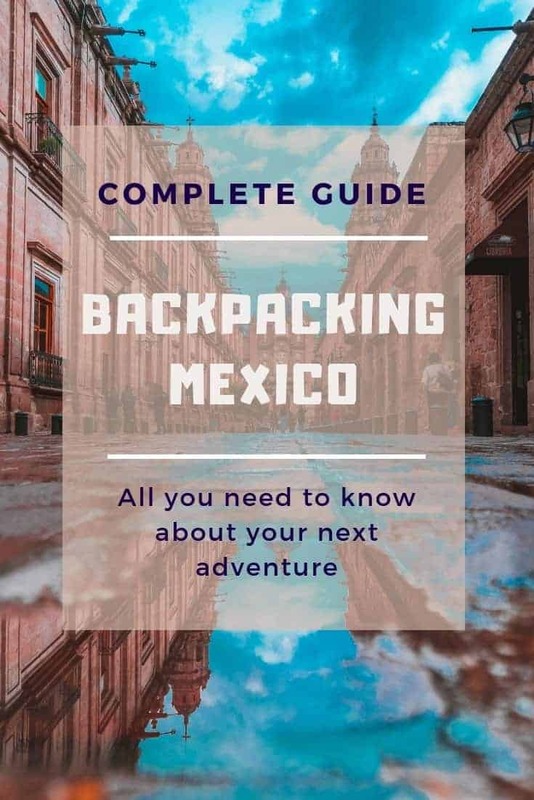 Instead of offering you a pre-chewed backpacking Mexico Itinerary, we’ll give you a nice view of the most important places to include in your Mexico itinerary. We also explain how easy it is to go backpacking in Mexico. Slow travelers tend to spend ages in Mexico before moving on to the next Central American country, usually Guatemala. Backpacking in Mexico is a lot of fun. For us, it was actually the first country we ever hit when we went backpacking. An epic trip like this one will probably get you hooked on backpacking as it did to us. So you probably never want to return to a different style of travel after backpacking in Central America. 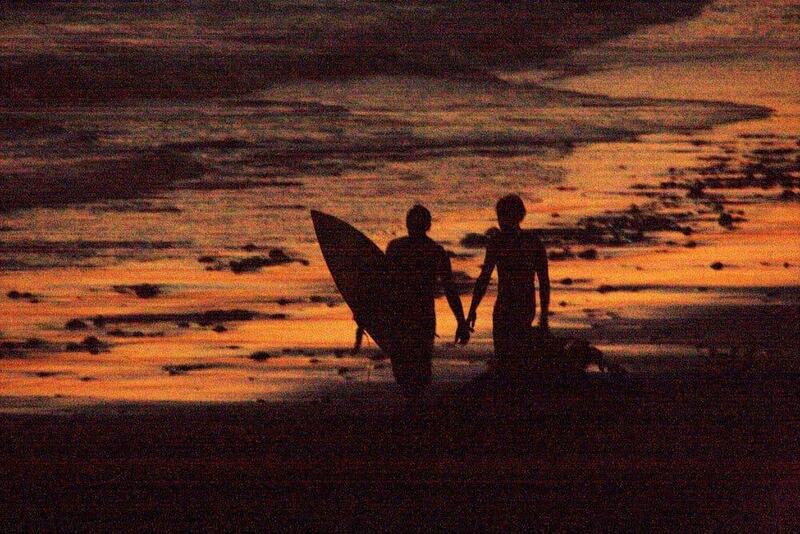 So keep scrolling to read our backpacking guide to Mexico. Dit artikel bevat affiliate links. Dat betekent dat wanneer je een product koopt via één van deze links, wij een kleine commissie krijgen op de aankoop, zonder dat dit voor jou extra kosten met zich meebrengt. Bekijk onze Privacy Verklaring. 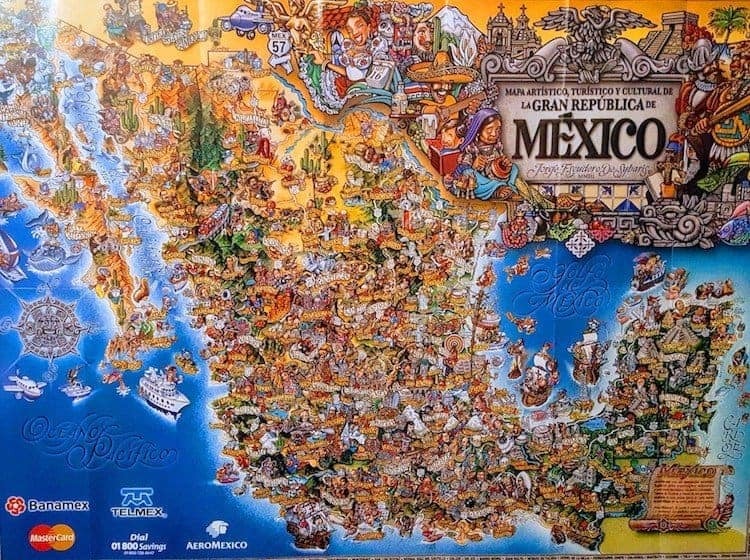 Mexico is the largest country in Central America (Ok, yes, it’s officially a part of North America, but let’s break some rules here and call it Central America!) Because of the size of Mexico, travelers tend to break up the country in different parts. They usually decide to explore one part of the country each time. If time is on your side and you can spare a few months for backpacking Mexico, feel free to combine everything in one big trip! The three parts we named below each serve as a 2 or 3 weeks Mexico itinerary. We advise to go way slower and take a minimum of 3 weeks per part! The Riviera Maya and Yucatan region of Mexico is very popular with backpackers as well as all-inclusive travelers. Pristine beaches and hot weather are the perfect combinations for every Mexico holiday traveler. When backpacking in Mexico, don’t skip this part. Because once you walk away from the tourist hubs, you’ll find plenty of beauty and backpacker vibe right here. These are the best places to visit in the Riviera Maya. This is probably where your plane will drop you back to the earth. It’s actually a good place to get over your jet lag and adapt to the temperatures and atmosphere. Go to the Zona Hoteleria to sunbathe at the best beaches and visit places like Hooters, Hard Rock Cafe and other typical touristic places. For the backpacker vibe and local cuisine, we recommend going to Parque de las Palapas to try the best street food in Cancun. We are huge fans of the Quesadillas Tierra del Sol at the corner of the square. For souvenir shopping, go to the Mercado 23, but prepare to be seen as a walking wallet and vendors will try to get you into their store. Tulum is a small beach town you’ll see in every Quintana Roo backpacking itinerary because it’s there for a good reason. The Zona Archeologica is a must-visit in the region. The reason we loved it so much is because you can swim in the Caribbean at the ruins. While floating in the hot water, gaze at these ancient ruins and feel like a god! Tulum beaches are very popular and we can obviously see why: they’re gorgeous! We also had a chance to visit the Sian Ka’an Natural reserve and spend a night in a fisherman’s house. 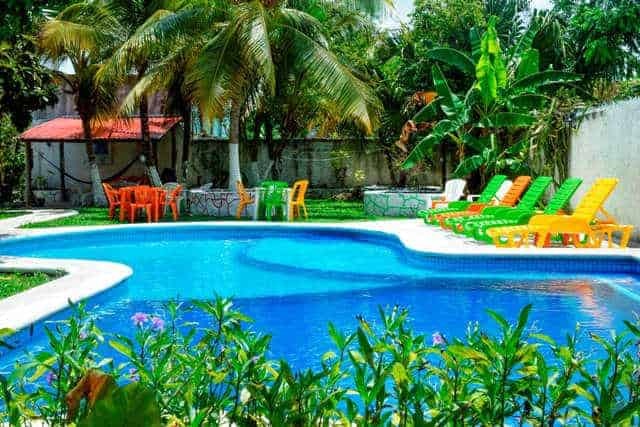 For lodging in Tulum, you can choose to stay in town or at the beach. The beach is obviously more expensive, but it might be worth the splurge to sleep in a beach cabana for a few nights. Playa Del Carmen is the party hub in the Riviera Maya and a lot of backpackers skip the town for this reason. We ended up living in Playa Del Carmen for a few months and the town actually grew on us. We loved our days at the beach and even got a tattoo here. Read about how we tried to find LGBT nightlife in Playa Del Carmen. Even if you don’t spend the night, you have to pass through the town in order to go to Cozumel Island! Cozumel Island is a must visit when backpacking Quintana Roo. The island is truly magical. But in my humble opinion: you have to rent a car in order to see the entire island. You can drive all the way around and watch the most beautiful sights in a few days. Read our guide to Cozumel here. 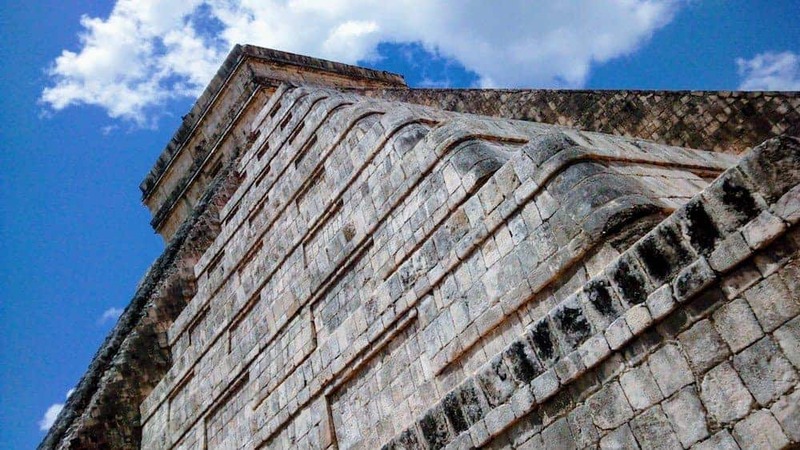 Valladolid is the gateway to Chichen Itza Mayan ruins. Even though you can visit the ruins in a day trip from Merida or any of the beach towns, we’d recommend staying a few days in Valladolid. This way, you can experience the slow way of living in the inland of Mexico. Get away from the touristic hype of the coastal town and experience the real Mexico under the blazing sun. We stayed a few days and visited the Chichen Itza ruins in one day. There is also a cool cenote inside the town of Valladolid where people were swimming. So it’s definitely an option to swim in the Zaci Cenote. Merida is a large town in the Yucatan mainland. It’s usually pretty hot and we recommend staying there for a few days. Even if you don’t feel like going out and do some sightseeing, just swimming in the hostel pool and having a few drinks in the evening did the trick for us. Merida has a lot of culture and history, so there’s a little bit of everything for every traveler. 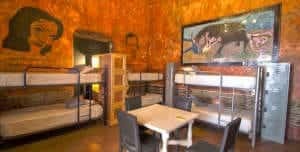 We recommend the Nomadas Hostel. 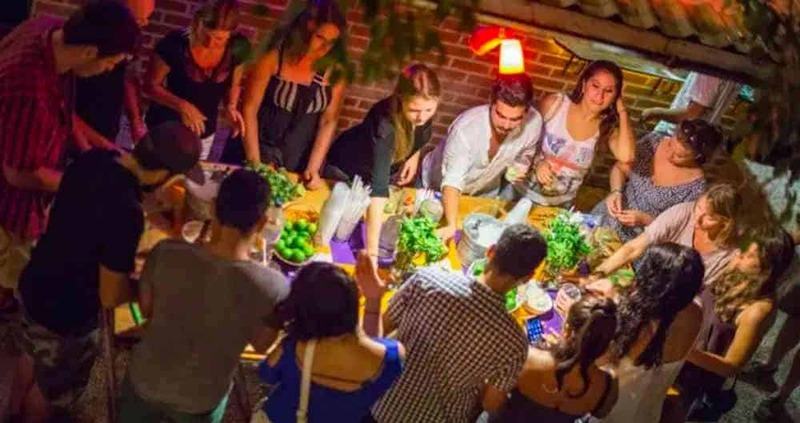 They organize cooking classes, salsa classes and they often have music performances at night. Take a day trip from Merida to Celestun to watch some wildlife or to Progreso to stay at the beach. Campeche is a pretty town on the Gulf of Mexico and the town itself offers some nice views. At the time we were visiting, there wasn’t much life and the town looked deserted. But I can imagine this place when there is an event or if you’re visiting Campeche with a group of travelers backpacking Mexico. The Quintana Roo area is known for its many cenotes which are worth a visit. It can be difficult to choose one to visit and we had a hard time selecting which cenote to visit. Then a local couple shared their favorite cenote with us and we had an awesome time there. Recommended cenote in Quintana Roo: Jardin Del Eden Cenote. Rio Lagartos can be done on a day trip and it’s a great place to watch wildlife and nature. In Rio Lagartos, you can book a boat trip to take you into the Rio Lagartos Bioreserve and you can go and visit the Las Coloradas Pink lakes. Reis je niet graag op je eentje door Mexico? Bekijk deze trip van G Adventures! The Chiapas area feels a little bit like Guatemala and this region is probably the cheapest to travel to. For this reason, Chiapas is a perfect area to include in your Mexico itinerary. Most people who are backpacking Mexico stay a little longer in Chiapas and Central Mexico because of the price tag and budget reasons. But that shouldn’t be the only reason. Chiapas is an interesting and beautiful part of Mexico! The town and ruins of Palenque are an obvious must go when backpacking Mexico. Palenque is home to some of the most important Mayan ruins in the world and many temples and ruins have not been excavated yet. The ruins you can visit at this time are probably the most important ones, but for the jungle explorers among us, there’s also an option to do a jungle ruins tour and even a mushroom tour. It’s all up to you! We actually wrote a full guide on how to travel to the town and visit the ruins. Read the full guide to Palenque here! San Cristobal Las Casas is one of our favorite places in the world. We went there multiple times and Lobke is still telling me that we’ll move there one day! From San Cristobal, a lot of excursions can be done. Since accommodation is so cheap in this beautiful colonial town, you could stay here for weeks without getting bored or draining your bank account. San Cristobal is a town you’re not allowed to miss and you probably want to stay longer! 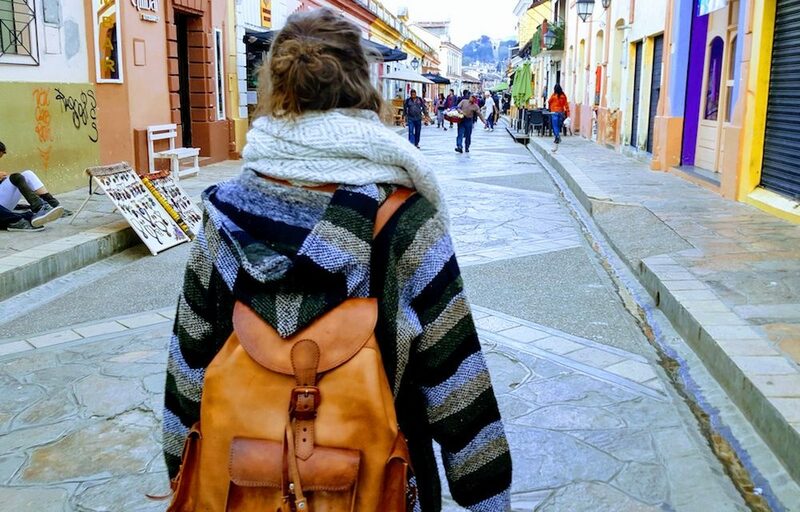 In San Cristobal Las Casas, you can join a free walking tour, visit Sumidero Canyon, visit the waterfalls of Misol Ha and Aguas Azul and find some of the best food ever! Also, go and try the ‘Caldo Tlalpeno’ in El Caldero! Misol Ha Waterfall is located en route between Palenque and San Cristobal Las Casas, so you can either visit on your trip between the two cities or do a day trip from San Cristobal. When choosing the first option, beware of possible travel scams like the unexpected roadblock we encountered during this trip. The Misol Ha waterfall is stunning and it’s one you can also walk behind… a little something I think is very cool, don’t ask me why. 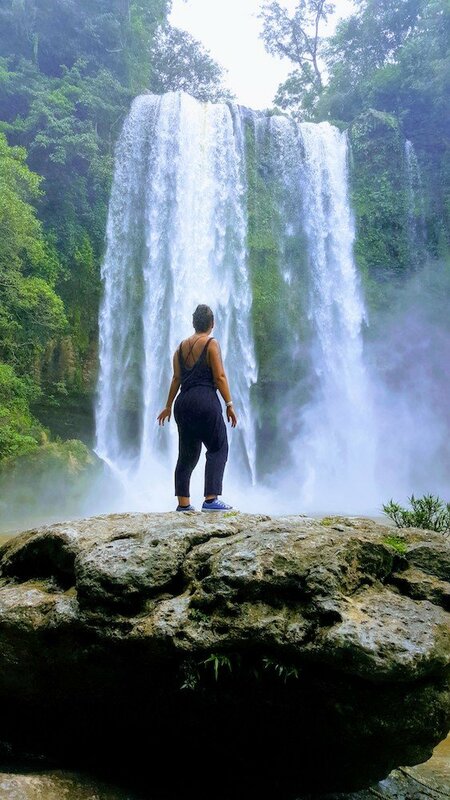 Because of the walking behind the waterfall, I was very excited to visit Misol Ha and it didn’t disappoint. You should remember that these falls are best visited after a few days of rain because in the dry season, there could be a lack of water which makes your visit less memorable. The Agua Azul waterfalls are an impressive series of waterfalls in Chiapas Mexico. The waterfalls can’t be missed when backpacking Mexico and you should consider taking a full day in order to see and enjoy the falls. We were in bad luck when visiting Aguas Azul since we encountered an unexpected roadblock during our tour so we had to cut our visit short… a great reason to return, right! 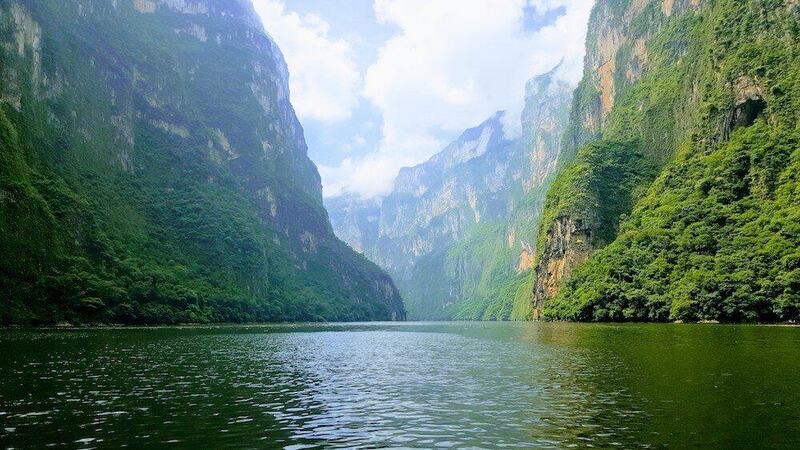 The Sumidero Canyon is a natural highlight of Mexico as it is one of the largest canyons in Mexico and there is some wildlife to be seen. I must admit that we were a little disappointed to see so much trash floating in the canyon. The canyon is located much lower than the surrounding area and towns, so when there’s a heavy rainfall, the trash from the towns collects into the canyon. We did see a few boats picking up trash and rotten trees that had fallen into the water but the situation was still pretty bad. The canyon itself was very impressive after all! Some people say that Central Mexico is the real Mexico. I would confirm nor deny it, but Central Mexico has a lot to offer. There are just too many natural wonders to sum up and most of them can be visited on your own or with a tour. The cities and towns of Central Mexico are interesting and frequently visited by Mexico backpackers. Mazatlan is a beach town on the Pacific side of Mexico which is very popular with people who are backpacking Mexico. You can find many resorts in this town, but also a cool waterside walkway and a historic city center. Hike up to the second highest lighthouse in the world, if you’re physically up for it, to get the best views over the town. Or go watch the daredevil cliff divers who dive off rock formations. In Mazatlan, you can also do boat trips to go fishing or to watch wildlife. Oaxaca can be called one of the prettiest cities in Mexico, with its colonial and colorful city center. Most of the vibrant city life is centered around the Zocalo or square. Oaxaca is well known for its famous celebration of Dia de Los Muertos. From Oaxaca, you can do a day trip to Hierve El Agua, a limestone rock formation that looks like a waterfall. Explore the best things to do in Oaxaca. See our post about natural beauty in Mexico. Puerto Escondido is a city of extreme watersports and if you’re not into doing these yourself, it’s a magnificent place to watch others do it. This beach town is famous for the possibility to do a variety of adrenaline-inducing activities like surfing, diving, skydiving, hiking, and probably a lot more! Puerto Escondido waves are massive and this is not the place for a beginner surfer to go and try out the waves! The capital of Mexico is frequently visited by travelers who are backpacking in Mexico. Some say it’s a very dangerous destination, but this is not entirely true when it comes to traveling there. Mexico City is an interesting capital with a lot of cultural heritage. It is pretty huge and there are probably some areas where you shouldn’t go, but the historic center and the zocalo are quite touristy and fun to be in. The city square or Zocalo of Mexico City is the largest town square in Latin America and the subway system is very extended and extremely busy. If you’re a museum lover, you’ll be able to fill your time in Mexico City, because the city is home to the largest amount of museums in the world. As you can read, there’s a lot to do in Mexico City. This is the type of capital you either love or hate! One thing we can say for sure is that there are tons of Instagram worthy spots in Mexico City! San Miguel de Allende is a cute colonial town with some awesome architecture and typical Mexican buildings. 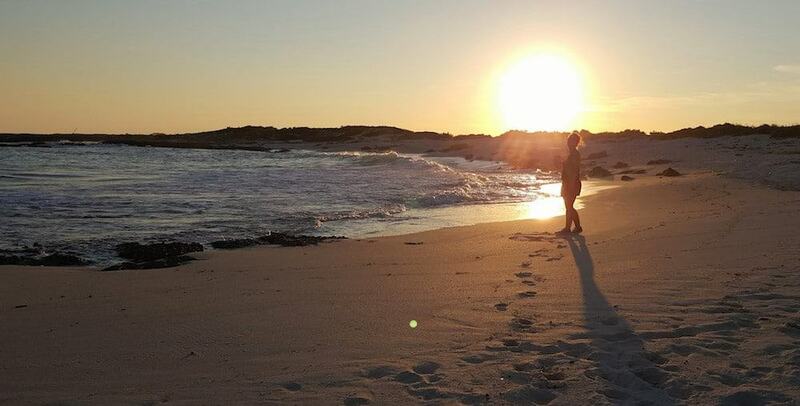 It’s a backpackers favorite and many travelers stay around much longer than initially planned. 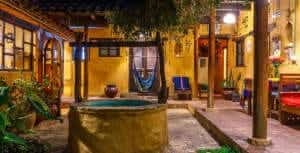 If you plan on taking Spanish language classes in Mexico, you might want to consider doing it here, since there are a lot of Spanish learning options in this town and taking classes here is a great opportunity to spend more time in this relaxed town. Baja California Sur is actually an entire state instead of a town and it’s immensely popular with US tourists and backpackers. The area is located on a peninsula in the north of Mexico and it has a lot to offer for travelers. Check out the arched rock formations at Cabo San Lucas and the town of Loreto to see if you’d like to travel all the way north to visit these awesome destinations. Central Mexico has a lot to offer for the backpacker and there is a lot of natural beauty to be found. Check our post about the natural sights in Mexico. Many of these natural wonders can be visited independent and are perfect for a trip when backpacking Mexico. 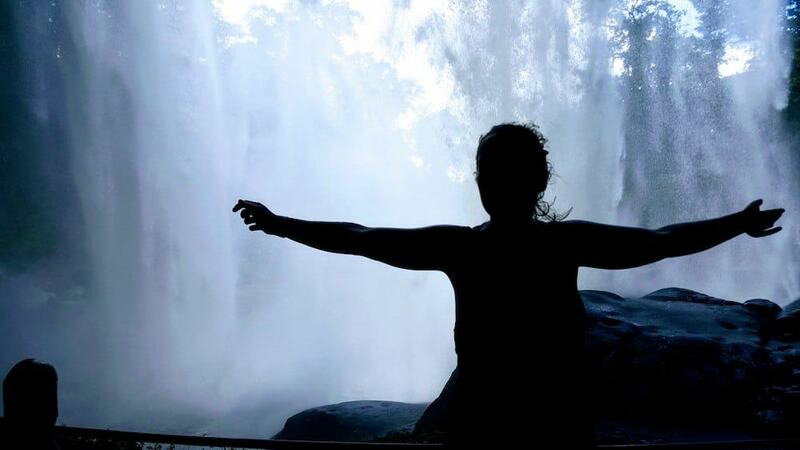 I would definitely recommend visiting Las Posas and the Tamul waterfall. The Mexico backpacking budget you need varies on where you’re going. Some areas are very expensive while others are cheap as dirt. If you’re traveling to Mexico on a budget, we recommend staying in hostels. Dorm beds are usually the cheapest way to go, but in places like Playa Del Carmen, even dorm beds are expensive and usually, the quality isn’t very high. When you travel into Chiapas, a nice private room is often cheaper than a dorm bed in Yucatan. As a budget traveler, it pays off to stay much longer in Chiapas and keep your Riviera Maya beach holiday short and fun. If you continue traveling further into Central America, you’ll end up finding beaches that are as scenic as the Riviera Maya beaches, way more budget-friendly in terms of lodging and they will probably have a higher backpacker appeal than the touristy beaches in Quintana Roo. Getting around Mexico is easy and comfortable. For long distances, you can choose the ADO buses, which are comfortable and more expensive. Or choose other first class and second class buses that are a little cheaper. For short distances, shared collectivos or tuc–tuc are a great budget way of getting around when backpacking Mexico. Check our full guide about transportation in Mexico here! In Mexico, there’s always a reason to celebrate and in the time we were there, we’ve seen dozens of celebrations. It seems like some cities have some sort of celebration every week and each time there’s a different occasion for it. These are the most important festivities in Mexico! In Mexico, the day of the dead is a tradition and it’s a real festival. 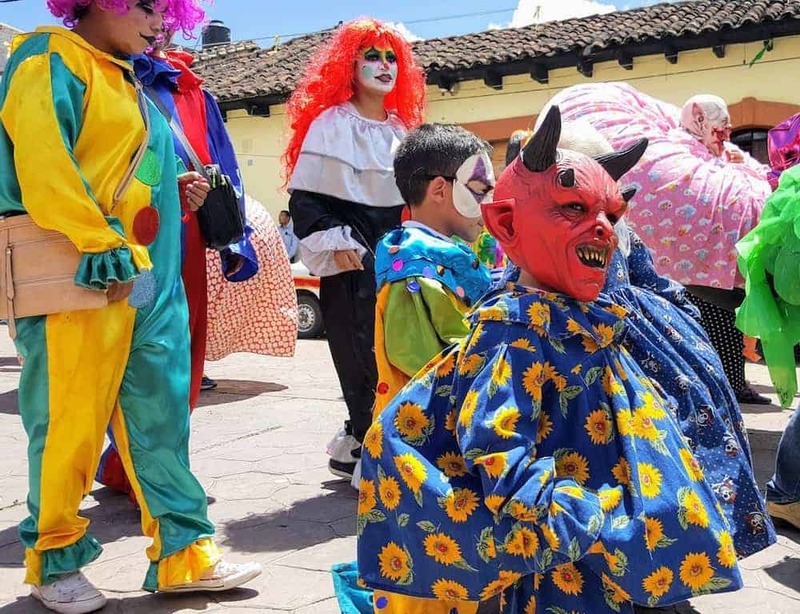 The ‘Dia de Los Muertos’ is celebrated all over Mexico and other Central American countries, but some cities are more notorious for their celebrations, like Oaxaca. Bekijk de ‘achter de schermen’ tour van G Adventures! Carnival is very serious in Mexico and some cities host the biggest parties that are taking up all week. The most famous carnival festival in Mexico is held each year in Veracruz. Mexico is a religious country and chances are good that you’ll run into an unexpected festival in one place or another. We ran into a huge parade in San Cristobal las Casas, which was held in order to chase away bad ghosts. People were dressing up and dancing in the streets of the town. If you take your time to travel slowly and soak up the culture, you’re very likely to get a chance to see one of these exceptional parades. Be more careful at night. Being with a few other travelers is safer than being alone. Mexico is an awesome destination to indulge in local cuisine and beverages. We tried quite a few and loved them a lot! These are a few typical drinks and dishes you should try when backpacking Mexico! Mezcal and tequila are both Mexican alcoholic beverages made of the agave plant. Everywhere in Mexico, mezcal and tequila are produced and distilled and you can buy a lot of different types and brands of these alcoholic beverages. Mezcal, as well as tequila, can be up to 55% of alcohol and they can get you drunk pretty quick. All I know about the production process is that every tequila is mezcal, but not every mezcal is tequila! Read this guide on the difference between both drinks on FoodFunTravel.com. Caldos are basically soups, but Mexicans definitely know how to make them just perfect! I’m a big fan of the ‘caldo Tlalpeno’, which usually is served with a lot of extra stuff to add to your soup. In our favorite place in San Cristobal Las Casas: El Caldero, guest always get some nachos and a delicious mole with their caldo. 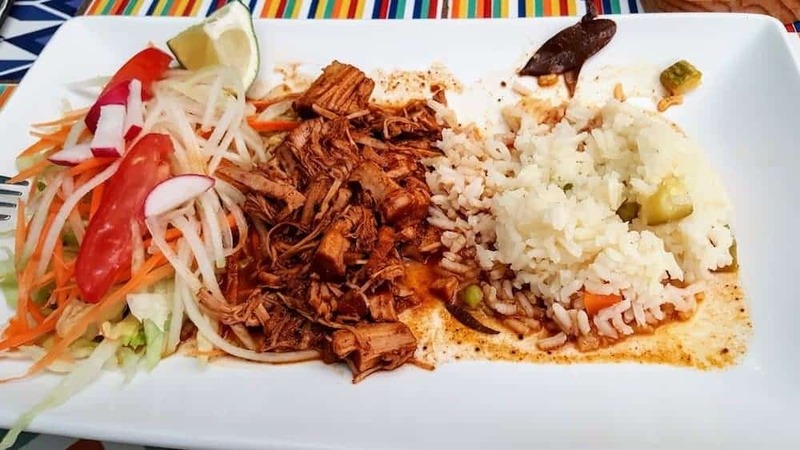 Cochinita Pibil is a must eat in Merida or Chiapas. This dish is a combination of rice with slow-roasted porc and a delicious salsa. The meat has been marinated in citrus juice, which makes it look a little orange. Mole Poblano isn’t really a dish. It’s actually a salsa and it is super good, depending on how well it has been prepared. Mole Poblano has a lot of ingredients, it even has chocolate and it’s named the national dish of Mexico. This brown sauce can be served with your rice, meat, or you can eat it with nachos. Again, go to the El Caldero in San Cristobal to get the best salsa and caldo! Yes, we really loved this place because the food is so good! Gorditas, quesadillas, tacos, tostadas, sopes, … Too much to sum up! Mexico is known for a variety of street food, all of which looked similar to us. Tacos are very common and you’re most likely to try these very often. They’re corn wrappings, filled with anything you like: chicken, beef, veggies, seafood, mashed potatoes, … and spices of course. After the tacos have been prepared, you can add salsa’s, spicy onions and other stuff. Quesadillas look similar to tacos but usually contain a filling with cheese. Tostadas are made of a crispy round tortilla as a base, with the stuff they would usually put inside just dropped on top of the crispy base. Check this extended guide to Mexican street food! Tamales are corn wrappings filled with a variety of different options like chicken, beef or vegetables. The tamales are usually cooked and then kept warm with steam. Churros are more like candy treats. They’re pastries of fried dough, finished with a lot of sugar. Usually, people dip them in sugar or dulce de leche. If you’re getting churros, better get them when they’re freshly fried. They don’t taste very well if they’ve been sitting around for a long time as they sometimes do. Spanish is one of the most beautiful languages in the world and it’s not too difficult to get a few basic phrases in your head that might help you when backpacking Mexico. People definitely appreciate it if you’re trying to adapt to the culture and language. Even if you might get a few laughs for wrong pronunciations, it’s still worth the effort and you’ll quickly notice a change in behavior if you swap the English for a few Spanish phrases. Here are a few basic sentences to help you on your way! You can also check our useful mobile apps post to check great apps for translation and language learning. ¿Donde esta la estación del bus? Most of Mexico is perfectly safe for LGBT travelers ad we didn’t encounter any problems. We do advise LGBT travelers in Mexico to keep public display of affection to a minimum or keep it to your private bedroom. We’ve seen LGBT Mexicans holding hands in the streets of many different cities, so you should be fine doing the same. Just follow your intuition! Most large cities in Mexico are LGBT-friendly and you shouldn’t worry about backpacking Mexico as an LGBT traveler. Read our guide about LGBT rights and laws in Mexico and check our article about finding lesbian nightlife in Playa Del Carmen. Crossing the border from Mexico into Central America can be done either to Belize or Guatemala. Both border crossings are easy and straightforward. Read our post about the border crossing Mexico to Guatemala in La Mesilla. We hope to have provided you with enough information in order for successful backpacking in Mexico! If there is anything missing from this guide, please let us know so we can add it as soon as possible! Happy travels and don’t hesitate to let us know how your backpacking trip to Mexico has been. We want to know what your favorite food was, and which destinations you liked best!